How Can We Capture Children's Full Range Of Abilities? One of the most depersonalizing aspects of the education system is assessments. A child’s whole educational career is reduced to a set of numbers or letters when they graduate school at eighteen, and these combinations determine which universities or jobs they can apply for. The nuance of each person is forgotten and what’s left is a standardized display of who this person is. Assessment that reduces individuals this way is useful to show who has understood a subject and who hasn’t, but unfortunately, it isn’t always the best way to show a person’s skills and talents. Particularly for children with learning difficulties such as dyslexia, it can be an irresponsible way of showing their abilities as often standardized assessment methods do not capture their true abilities. Moreover, in a world where knowledge acquisition isn’t as necessary as it used to be, thanks to the emergence of the internet creating a wealth of knowledge at our fingertips, what we need children to know is changing. In a world of exponential change the future is no longer certain, so the skills and knowledge that children need to thrive have changed too. More than anything, they need skills that allow them to adapt to whatever the future throws at them and assessment should reflect this readiness. 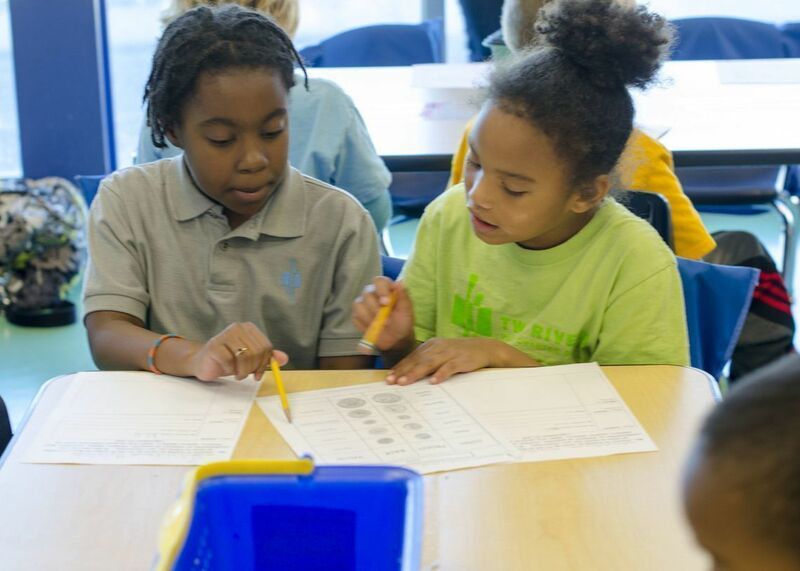 In a sea of standardized assessment, Two Rivers School stands out like a beacon of hope. Situated in the USA, Two Rivers combines summative assessment with formative assessment to create a more holistic way of checking in with every student to create a personalized development response. Assessment has traditionally played the role of telling others what an individual knows, but as we develop education in order to be more holistic and to benefit every child, it makes sense to innovate assessment to make it more meaningful. Surely, this meaning should be primarily for the children undertaking the studies rather than solely for the benefit of others, and that’s where formative assessment can be particularly powerful. We cannot make education personal without children’s involvement too. It’s a collaborative project between the educator and the student, so that together they can create a meaningful educational experience. Empowering children this way helps them to truly understand what they’re learning, why and how to improve, helping them to reach their goals so they can go out into the world with the grades they need to achieve their dreams. Too often the assessment system is a mystery to children. Understanding their feedback and knowing how to improve can revolutionize the educational experience for children and help them understand how to succeed. At Two Rivers, our approach has been to deepen student learning by focusing on a broader set of student outcomes than just basic skills and knowledge. By developing and utilizing assessment tools that target skills like critical thinking and problem-solving or social and emotional learning, we both elevate the importance of these critical life skills and provide direct opportunities for students to develop them. Through taking inspiration from Two Rivers assessment model, educators can create an educational experience that is personalized to each student whilst also helping students to improve their grades and understand their own learning. ‘These kinds of assessment tools are about letting individual students know where they are and provide them with a roadmap on how to get to where they want to go,’ says Heyck-Williams, concluding, ‘This is personalization at its best.’ We couldn’t agree more. Explore the Two Rivers Assessment HundrED innovation page here!